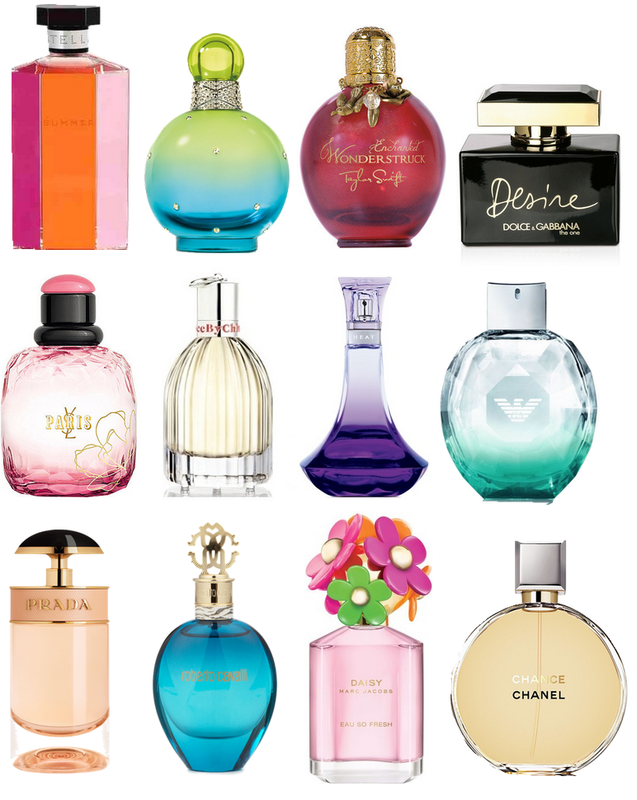 It's been a while since I've put together a wish list for perfumes, I obsoletely cant get enough of perfumes - I love them! I have about 20 stashed in my room and my favourites include Alien by Thierry Muggler and anything by Britney! This is only a quick and cute blog post for today, I just wanted to show you what perfumes I am lusting after at the moment. With this years "summer", I am really looking for fun and fresh scents, I don't know why but I usually wear heavier and muskier scents in colder weather conditions - is this strange? I have been dying to try the new Taylor Swift perfume, I am a huge fan of the scent of her first perfume, especially the actual design of the product. im obsessed with see by chloe! love it! I like many of these perfumes, especially Emporio's Armani Diamonds Summer scent and Taylor Swift's Enchanted Wonderstruck!